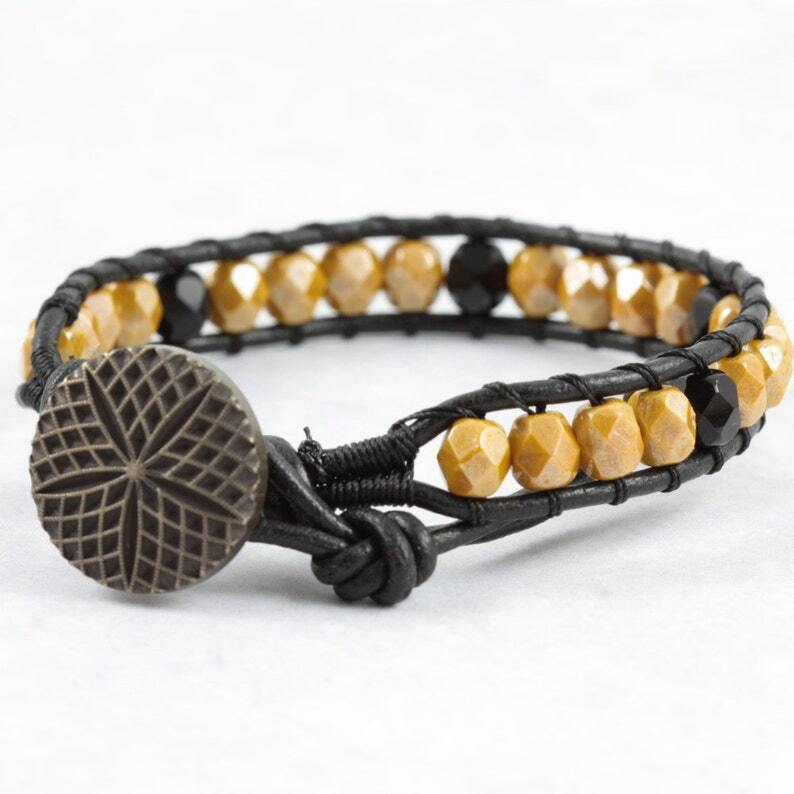 A single wrap bracelet made with Czech glass beads (6mm) in black and mustard. Hand strung on black leather cord. I used a pretty black and dark gold button. This bracelet has 2 loop closures. It will fit wrist sized from 6 to 7 1/2 inches (15 - 19 cm). Please contact me if you'd like a different length made just for you.